Let’s look at each of these in some detail. In a small business, the people who work in it are the business, and generally speaking changing the people in the company would be a last resort. Some people in the business are family members or long-time employees to whom the owners are loyal or emotionally attached. But we have worked with a number of one-person and small-family businesses who are just not very organized and not sure how to achieve that. 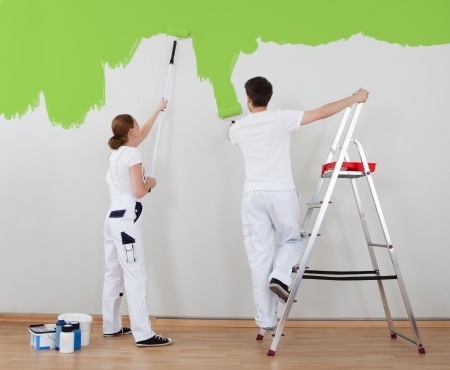 Fairly often we have seen that the owner, founder or main moneymaker in the business has good technical skills, such as house painting or landscaping, but is not naturally well organized. It’s particularly hard to stay organized when you are working away from your home office all day, as many skilled workers often do. Good organization is very important because it can mean more prospects become paying customers, the money is managed better, appointments don’t get forgotten, and other business essentials are taken care of. To help with this, we often give our small business consulting clients a personality questionnaire such as the Myers-Briggs. Each of us was born with different strengths and weaknesses, and the better we understand our own profile, the better we can build on our strengths and compensate for any weaknesses. Sometimes we find that a spouse is a better natural organizer than the business leader, and she or he can be given a more definite role in the business to balance things out and improve overall performance. Other times a part-time office assistant or bookkeeper can play that role. There is also a lot of great free organizing software that will run on a smartphone (as well as a PC) to help with organization, but it has to be used on a regular basis to be effective. We as small business consultants can help with this remotely, through the web, or we can just touch base once a week to help the owner(s) stay focused on priorities. Many other small businesses who come to us do not have a website or do have one that doesn’t look professional. Your website not only has to look good, but it also has to do what is called conversion. It has to convert website visitors into paying customers, or at least into people who are ready and willing to become paying customers. This involves careful wording, combining logic and feelings, information and persuasion for best results. It is something we as small business consultants in Charlotte NC are very experienced with – something not just any web designer or business consultant can do for you, then you’ll need to ask yourself what kind of services you want to hire, if offshoring vs outsourcing depending on your needs and budgets. To attract web traffic and convert visitors to customers, a website has to be professionally designed. Studies have shown that a website visitor gets a strong impression of a business within the first 2 seconds of seeing their website. If they like what they see, they stay; if not they are gone in a mouse click. There are also good companies who provides ways and optimization to bring traffic to your site as Miami SEO that offers good results. Beyond the appearance of the site, it must also have content that answers your questions and builds your confidence that this is someone you can do business with – at least they are worth a call. An effective website is not static like a book but is constantly updated with new and relevant content – just like the blog post you are reading now. And the content must be focused on topics which potential customers are searching for. For example, this blog post is about “small business consultant in Charlotte NC.” Google search tools tell us that this is a topic which Google users in Charlotte are looking for at times, so we want to provide information that will be useful to such users – and at the same time enhance our Google and Bing rankings. How do you decide what to focus your business and website on? That’s the subject of our next section. It is essential for every small business to have not only a niche strategy but also a website that looks reasonably professional and is optimized for search engine rankings. If potential customers can find your business on Google or Bing because your site ranks on the first page for a search term such as “interior house painters in South Charlotte,” you are much more likely to get new business this way than if your site does not rank on the first page for anything except perhaps the name of the business – which many searchers will not even know. It is tempting for every small business to try to be all things to all people – to list everything you can do or ever have done to make money serving customers. And that’s fine as far as a list of services is concerned. But you are not going to get first-page Google rankings for many different search terms (“keywords”) so you’d better focus on the ones that reflect your true competitive advantage. If you are only claiming to be expert in something, then the customer finds out you are not good at it, it will hurt you in the long run as far as your reputation in the marketplace is concerned. A professional small business consultant in Charlotte NC or anywhere else will help you sharpen your focus, build on your strengths, and gain a real competitive advantage not only in the marketplace but also online. These are just 3 of the many needs and challenges small business owners bring to us at Lawrimore Inc. In each case we try to help every client select top priorities that are affordable for their budgets. Contact us today using the quick contact form right on this page, or call 704-332-4344 to discuss your needs and how we might help you better than any other small business consultant in the Charlotte NC area.